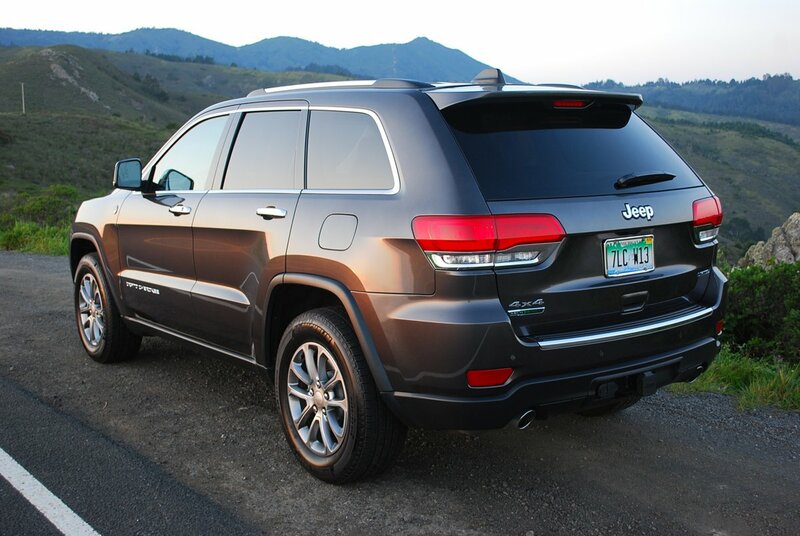 Jeep’s latest iteration of the Grand Cherokee line offers remarkable flexibility of use. It’s a tough truck, a comfy limo, and an economy ride, all rolled into one very handsome product. The truck part of the equation will take you just about anywhere on or off road, especially if you order your Jeep with the optional, “Trail Rated” $2,495 “Off Road Adventure II” package. In well appointed Limited trim, this spacious Jeep behaves more like a plush and expensive foreign bred sedan than a domestic sports utility. All the seats are heated, with 8-way adjustability for the front pair. 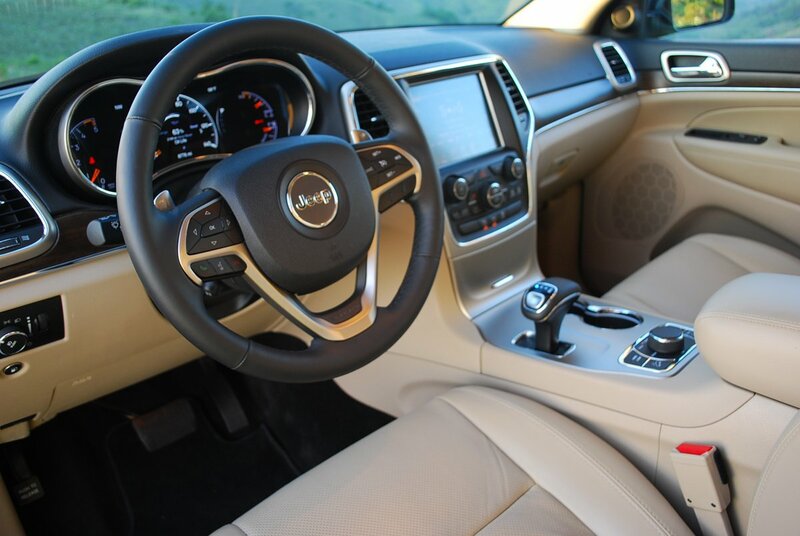 The cabin is plush and quiet, and the new 8.4 inch dash-mounted touch screen offers more climate control and entertainment options than Microsoft’s house of tomorrow. When you order your Jeep with the new-for-2014 V-6 turbocharged diesel ($4,500 extra), your Cherokee will effortlessly yank a 7,400 pound trailer while still managing 24 MPG in overall fuel consumption. Pulling that kind of load with ease is what 420 lb.-ft. of torque will do from a standing start. Jeep’s new 8-speed automatic gearbox is standard across the Cherokee line this year, and its paddle shifted multiplicity of gears immensely enhances the low-revving performance of the new diesel. Of course, if you’re looking to Jeep for a faster Grand Cherokee, a couple of contenders will put you into the BMW M5 and Porsche Cayenne GTS class. Along those lines, you can up horsepower by selecting either the optional 5.7 liter V-8 (360 hp) or the dragon slayer SRT8 version which generates 470 hp from its 6.4 liter motor. The price for such extra grunt is substantial, with the 5.7 liter V8 barely capable of 20 MPG and the 6.4 liter SRT motor good for about 15 MPG. From a practical standpoint, then, you can’t beat this new diesel, which makes just 240 hp, but produces enough torque to rival the SRT Hemi for towing purposes. 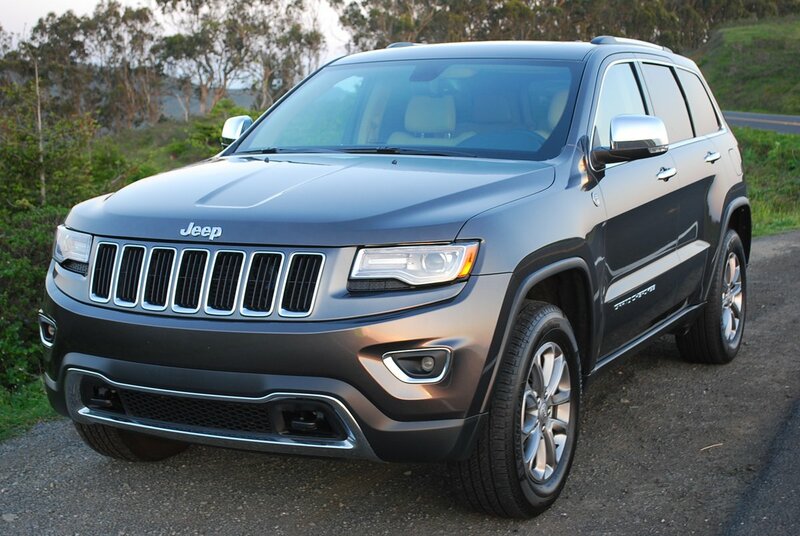 Jeep performed a mild, yet highly successful restyling of the Grand Cherokee’s front fascia for 2014. The results look better than Botox. Below the carryover traditional seven slot grill, an aluminum framed lower intake scowls menacingly. Newly condensed Bi-Xenon headlamps impart a squint to the Jeep’s face that distinguishes it from any other SUV on the road today. If you opt for the sublimely luxurious, $3,000 optional “Luxury Group II,” those slit lamps are automatically adjusted for variable vehicle height, flick automatically from low to high beam as required by traffic, and impart a carnival glow in broad daylight thanks to LED daytime running lights. The seemingly pricey package provides much more than just better illumination. Among the inclusions: a huge Panorama sunroof that gives backseat captives the pleasurable illusion that they’re riding in a convertible. We took a foursome on a day long excursion along the twisting, sometimes nauseating Coast Route, and never heard a single complaint about backseat discomfort. The 8.4 inch screen, which is also part of the Luxury II package, is a wonder of technology. 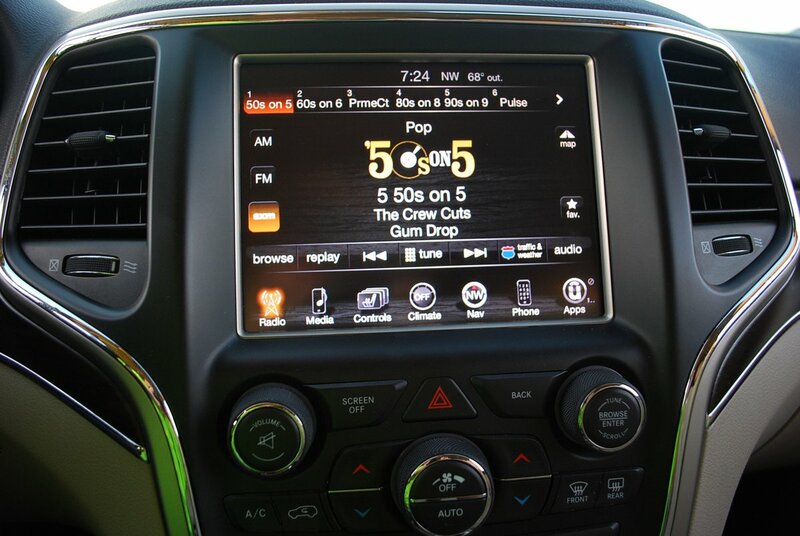 Chrysler’s UConnect system is far superior to other, nominally similar domestic and foreign offerings such as Ford’s MyTouch, Cadillac’s CUE, and BMW’s iDrive. For ease of use, it’s hard to beat UConnect’s intuitive operation. This system, which encompasses everything from climate control to phone usage to infotainment sources, immediately summons whatever touch screen you might need, and presents the information in a visually clear and obvious way. As soon as I received this Jeep for my weekly drive, I spent about 10 minutes reconfiguring everything about its behavior to suit my personal preferences. For example, I eliminated the annoying valet seat slide and steering wheel tilt, then muted the remote fob door lock chirp. And I did so with absolutely no prompting from the owner’s manual. Good thing too, since the manual was absent from the glove box. 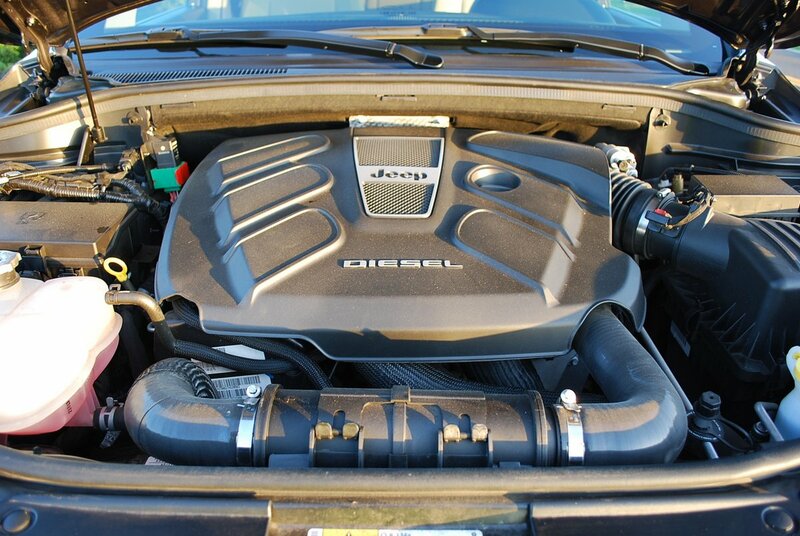 This latest Grand Cherokee with its hyper efficient diesel motivator represents a remarkable accomplishment for Jeep and parent company Chrysler. Its Quadra-Drive II 4WD system allows you to select any suspension height or traction setting from outback to sand to snow with the simple twist of a fat dial on the center console. In normal pavement mode, the admittedly heavy (4,900 lb.) Cherokee tends to lose front axle grip first in twisty turn work. Yet the Michelin Latitude mud and snow rated tires (265/60R18) manage to extricate you from even the most precarious incipient slide by clawing the pavement resolutely. Even when you’re pushing this behemoth to the limit, you’ll never irritate your riders, who remain blissfully unflustered thanks to this Jeep’s uncanny composure in duress. You could hardly ask for more than that from any SUV, and the fact that this one, fully loaded, slides in under $50,000 makes the ownership experience all the more remarkable.